We certainly didn’t expect the opportunity to protest Jeff Sessions alongside Congresswoman Dina Titus and State Senators Aaron Ford & Tick Segerblom at the Apothecary Shoppe Dispensary with every news outlet present, but it happened! We loved the chance to stand up for the State of Nevada and to be able to show our community that we are a strong voice of the people! Yeah, that freaking happened! It was such an honor to have a company like Dr. Dabber, that we all know and respect, believe in our work and sponsor us! Together, we were able to provide record sealing services and great education throughout Las Vegas. They were even cool enough to offer hella deals to NORML members! Throughout the earlier part of 2018, we had the great pleasure of volunteering for Harrison House, which was the 1st African American Guest House in Las Vegas during a very segregated time. In learning about Las Vegas’ history from a perspective that isn’t often discussed, we got a firm grasp on how marijuana has undisputedly been a tool used for oppression. This only reaffirmed that social justice needs to be a priority when discussing marijuana policy in this community. We participated in gardening and yard clean up at Harrison House, held a Black History month panel together, and helped with a Mardi Gras neighborhood celebration. 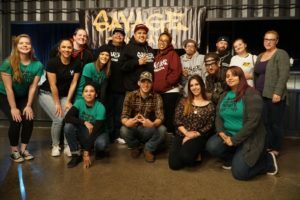 Instead of hosting a 420 bash this past April, we decided to focus on having community impact through restorative justice. Finding lawyers like Garrett Ogata and Nick Wooldridge to refer prior marijuana conviction victims to, was invaluable! We created a dope set of resources to give to people interested in sealing their record and held an educational seminar educating them on the steps. We will continue to provide education on record sealing in Nevada throughout 2019 and help clients find financial assistance to do so when qualified! The 2018 midterms were NO JOKE. This was our first year dabbling in the candidacy aspects of things, but quickly learned the value of being an educated voter and focusing on primary elections. 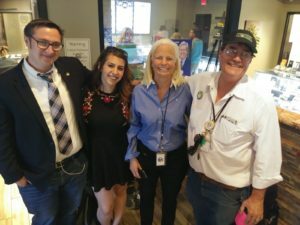 We held a press conference with our National NORML Political Director, Justin Strekal, a voter registration event at 7th & Carson in downtown Las Vegas, and even did phone banking to encourage voting in primaries all throughout May. It was amazing to see an increase in younger voters registering! Nobody said it was going to be easy, and it definitely wasn’t, but it was really rewarding showing voters statewide how candidates felt on specific marijuana related issues. Because of the hard work from National NORML, we helped produce the Smoke the Vote platform for voters to refer to, and the feedback we got was incredible! The City of Las Vegas began drafting ordinances for social consumption this year, and we were proud to show up and voice our concerns on the record. Although it has still not been remedied, Las Vegas NORML members advocated strongly against 24 hr surveillance fed directly to law enforcement and raised concerns about mixing cannabis with alcohol. This will continue to be an area we advocate for throughout 2019 because of the intersectionality with criminal justice reforms and consumer protections. We hope that with the introduction of social lounges, tourists and residents will both have legal places to consume! Each year, NORML activists from around the nation gather in D.C. to engage their lawmakers in marijuana policy reform. We are proud of the relationships we developed with Congress throughout this time and are confident that we can achieve great things together! D.C. can be an intimidating place, but we are loving the chance to navigate it again in 2019. Earlier this year, Acres Cannabis Dispensary was kind enough to offer their space in the Underground to Las Vegas NORML and our members! Every first Wednesday of the month, we host a free educational meeting that is open to adults 21 or older. A huge part of our mission includes providing education to the community, so having this valuable space has been a huge blessing! This past election cycle, we focused really hard on not only educating the community, but our board too. We worked really closely with Aaron from Restore Your Vote to learn more about how those with a criminal history can reinstate their right to vote. It’s a very common misconception that if you had a past marijuana conviction, you are ineligible to vote in Nevada, but we found out this is not solely the case. We are truly passionate about being a voice for those who have lost hope and love being able to provide resources to help educate them. It’s not everyday that the founder of NORML is in your hometown! It was an absolutely memorable experience to have Keith here to help us host a voter rally at the World Famous ‘Cannabition’ Cannabis Museum in downtown Vegas! We even had the pleasure of meeting several other members of the National NORML board, too. We consider it a great privilege that we were able to show them our city and more of our work on a local level! Our cool friends over at Cheba Hut Toasted Subs let us throw down some pumpkin carving for our October Informal with NORML, and we ran with it! Who doesn’t make bongs and steamrollers out of fall vegetables?! November 2018: Jeff Sessions is OUT and Cannabis friendly legislators are IN! What a relief that Sessions’ is finally gone and we can start to progress Marijuana policy at the federal level. Cannabis friendly Governors and Commissioners are taking over Nevada and the West in general. We have a lot of conversations to have with new office holders, but it’s never been easier now that 66% of Americans support legalizing marijuana! Las Vegas NORML was the education sponsor for the inaugural Herban Expo at the Rio and coordinated over 25 educational presentations and panels over the course of 3 days! It was really impressive to see how much our community came out to listen to the speakers and the engagement it created. Herban Expo will 100% be back in 2019! Yep, you read that right…We collected 600 physical letters to members of Congress with the help of Denver NORML in just one weekend in Las Vegas! We set a goal, and people like you helped us reach it by making a small effort to tell Congress that marijuana reform is important! We were really fortunate to gain really talented media pros and graphic designers as volunteers this year to help us develop more interesting content. Hella props to friends like Rev from Rocester NORML and Mrs. Rex 420 here in Vegas for helping us design digital content this year! Weed TV, Vegas Cannabis Magazine and Kool Katz Media were also incredible blessings that have helped us astronomically with other media exposure this year! 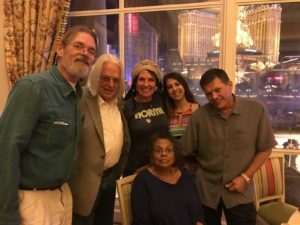 Grassroots activists are hard to come by these days, but it’s been clear that the 2018 Las Vegas NORML crew is no force to reckon with! The newly organized board, expert advisors, team of awesome volunteers & sponsors have been quickly gaining traction in the community and everyone is having a blast doing it! 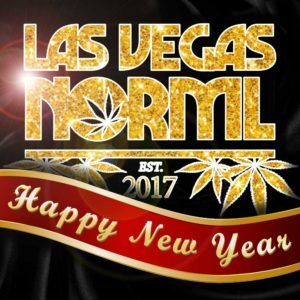 Las Vegas NORML volunteers are a diverse and passionate group of individuals that have worked tirelessly this past year to develop a positive reputation throughout the community. It is because of community members and new activists involvement that the organization continues to strengthen and grow!